Note: This article originally appeared in the Fall 2018 issue of 1894 Magazine. Louisiana Tech University’s focus expanded with the opening of the new Academic Success Center in Bossier City and a memorandum of understanding between the University and Bossier Parish Community College designed to increase educational opportunities for those who live in northwest Louisiana. The expansion of Louisiana Tech’s physical presence in Shreveport/Bossier, including having faculty and staff onsite to serve and teach students, is just the tip of the iceberg when it comes to meeting the needs of the region and spurring economic development. Tech’s presence will help the University increase its impact as an economic driver for our region and state and will make it more convenient for students in northwest Louisiana to cultivate some of the unparalleled educational experiences unique to the University, Provost Dr. Terry McConathy said. Increasing educational opportunities leads to better jobs, better options, and a better, healthier economy. As McConathy mentioned, Tech has been in Bossier City for a half-century at Barksdale Air Force Base (BAFB), but the current expansion — specifically the Academic Success Center in the National Cyber Research Park — builds on the momentum of Tech’s private partnerships and the emerging cyber industry. Tech was prepared when opportunity knocked. The progress, particularly in northwest Louisiana, is a product of forward thinking and strategic planning. The westward expansion is designed to have specific economic and educational benefits and is one more moving part of the whole, not an outlier designed to increase attendance for a few years. The programs at Tech Barksdale are designed to help maximize credits military students might have gotten elsewhere. For the convenience of active members of the military, many classes are online. The civilian population is also served at Tech Barksdale, something many potential students don’t realize. For instance, a traditional Tech student from Shreveport-Bossier can take core classes while back home on summer break. That student’s time to graduation is shortened, and cost to attend college can be lowered when the student graduates on time or quicker. Some of the programs at Tech Barksdale will be relocated to the ASC, “an opportunity we’ve brought to Shreveport/Bossier that hasn’t been there before,” Johnson said. Offering in-demand programs in northwest Louisiana will help a number of different groups, including BPCC students, to Tech diplomas and career advancement. According to McConathy, the University’s long-term plans are to establish academic program offerings, including certificates, degree programs, and lifelong learning opportunities that respond to the needs and demands of the employers and residents of the Shreveport/Bossier complex. One of the largest needs and demands of both employers and residents in the area is in computer-science education. ASC’s cyber training center, which American Electric Power (AEP) and CSRA helped outfit, is the location for training students in one of the fastest growing, well-paying, most in-demand professions in the world. Students can graduate and begin working at National Cyber Research Park, and current employees can take advantage of professional-development and career-advancement opportunities through Tech. 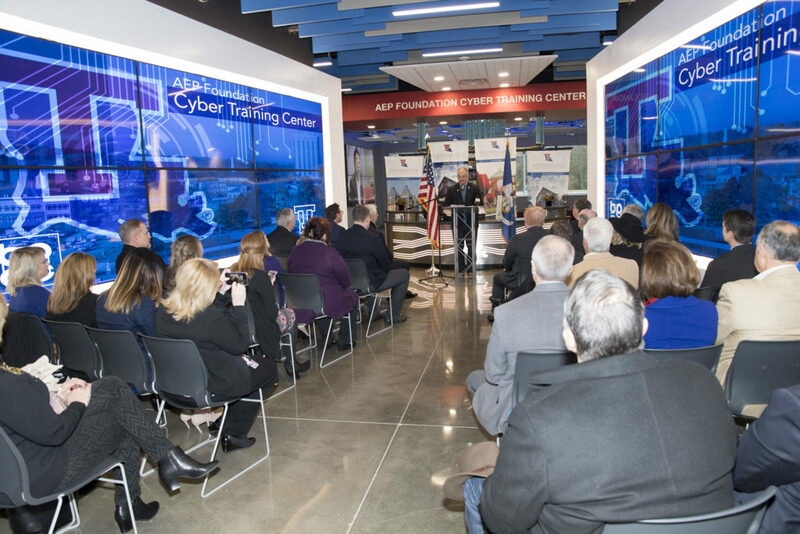 The cyber training center became reality with a $1 million gift from AEP and its CEO, Tech 1982 and ’86 alumnus Nick Akins, and another benefactor. The ASC became reality through Tech’s partnerships with the Cyber Innovation Center and (CIC) and BPCC. Louisiana Tech has a responsibility to develop human capital in northwest Louisiana through its unique offerings and nationally recognized programs. In addition, the University has a commitment to creating programs that are the first in their fields and to partnering with business and industry to provide needed educational opportunities. Tech’s studios, labs, and classrooms are places of innovation, where students work side-by-side with faculty members to achieve excellence. Louisiana Tech partnered with the Cyber Innovation Center (CIC) to establish a new Academic Success Center (ASC) in the Bossier Parish Community College (BPCC) STEM Building at the National Cyber Research Park in Bossier City. This facility enables Tech to enhance educational services, provide cyber education and research, support economic development, and engage in workforce development activities. Through the new center, Tech will also be able to advance its growth strategies in student enrollment and the production of graduates in high-demand fields, as well as increase new academic programs and research productivity in north Louisiana and throughout the state. 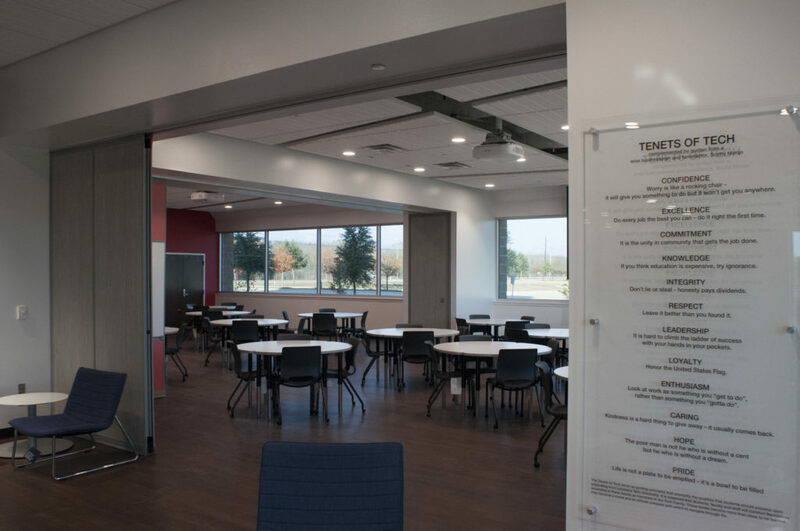 Besides housing the cyber training center, the Academic Success Center is designed to provide a “one-stop shop” for student services and staff services. Provided will be information about career exploration, test preparation, and financial aid. The Center will also assist veterans in transition from active duty to access Veterans Affairs educational benefits, planning for academic programs, obtaining maximum credit for military learning, and selecting academic degree programs which are in high demand for U.S. citizens with military service. This will enable Tech to serve more active duty, former military and civilian students in a convenient location off of, but close to, Barksdale AFB.